As we prepare for another Super Bowl, I want to tell everybody in Seattle, all the 12s, how very, very proud I am to be attached to you. We’re different from everybody else around the league. There is nothing like the feeling I get when I come out the tunnel, and just hear the love. I love the way you love us. That type of love is rare. My grandmother told me that as she walked around the stadium and people found out who she was, they opened their arms, they hugged her. They wanted her to sit in the sky seats. My family always tells me how the 12s always take care of them. 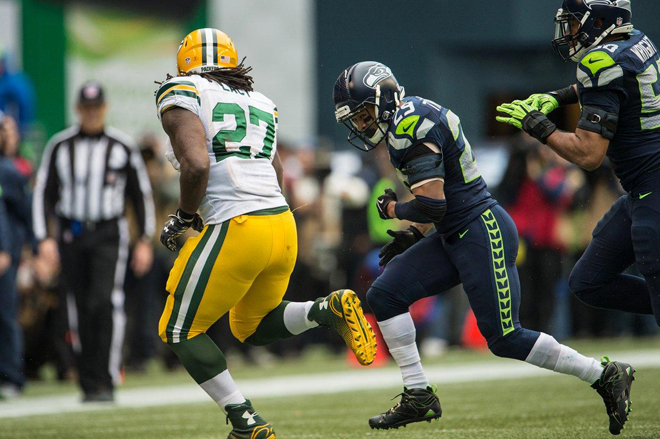 The Sunday of the NFC Championship was one of the biggest tests of my career. I’m hurting, but I’m glad we won and I’m happy for another opportunity – something else to really motivate me and to add to my legacy. I think, with how my body feels right now, this will be a hell of a story to tell when I get old and everything is finished. Before the game, I mostly kept to myself. That’s usually my routine. But the energy in the room was undeniable. You could feel it. Guys were having fun with each other and dancing around. That’s just how we always feel before we play. It was kind of business as usual in that respect. I think the only thing that felt different was that we knew the stakes were higher. By getting back to that point — reaching another NFC Championship at home — we proved that we were who we’d been saying we were the whole season. Winning the game, in my mind, would mean backing up our claims even more. The fact that we’d been in the same situation last season and hosted the NFC Championship game was beneficial. Last year, the feeling was fresh. I’d never been there before, so I was more edgy and nervous. This year, it felt like it was supposed to be this way. We knew what to expect in terms of the atmosphere. Playing in front of that crowd is always incredible, but on that stage, it’s on another level. When we give them something to cheer about, that just makes everything bigger. The stadium music hits, you get in a flow, and your energy matches that of the atmosphere. With all of that and the 12s behind you, it almost feels like it’s two-on-one sometimes. I felt proud to be a part of it. And as kickoff approached, I felt emotional. I felt the butterflies. But once the game started and Green Bay started putting points on the board, I never flinched. I was just into the game, and throughout everything that happened, good and bad, we just kept playing. 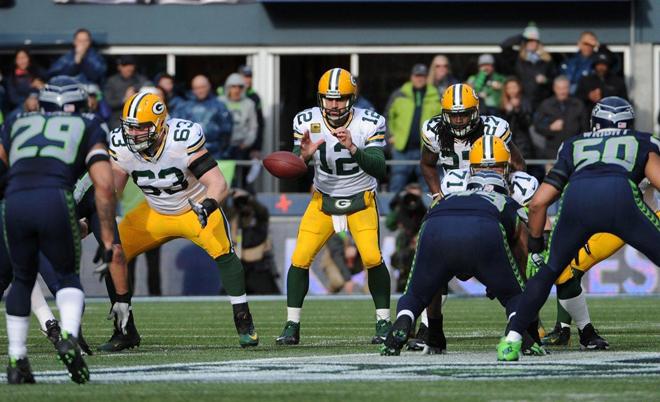 Right from the start, the Packers did a great job of keeping us off rhythm, especially Aaron Rodgers. I have to give Rodgers a lot of credit. Going into the game, after watching the tape of their game against Dallas, I honestly didn’t think he was that injured. I was preparing for the real Aaron Rodgers, not the hurt Aaron Rodgers. But that guy was really hurt out there. Going against him in the game, I could tell immediately that he was really in pain. And it sounds funny, but that actually caught me off-guard. Now that I’m dealing with an injury of my own, I have even more respect for him and what he did. A tremendous amount of respect. He used a lot of quick-strike plays against us, and he attacked certain spots on the football field. It played to his advantage that they were playing an aggressive team like us. We were flying all around, but he was moving so slow and smooth. His focus was on point. I think that gave him an edge in the game. He also used his cadence to disrupt our rhythm. He was double counting, triple counting and the ball wasn’t getting snapped until two seconds were left on the play clock. They did a great job of controlling the game in that aspect. When you talk about a football game, the game is always won up front. We have a great secondary, but our front allows us to have a lot of leeway, and all of us were just off rhythm early on. We didn’t expect anything but to have a dominant performance in that game. But when that didn’t happen, we didn’t panic. I remember telling a couple of guys that the Packers were trying to get us out of our rhythm, and that we had to stay locked in. We did that. We refused to lose confidence in ourselves. We stayed true to who we are. I thank God for helping us do that. We have a lot of talented guys out there playing for our team. And as tough as things got, we knew: All it would take was one guy making a splash play, and that might be the difference. We have great leaders on this team. They really understand that in life and football, you can’t give up. My injury and dealing with it was part of that. I’d never dealt with anything like it before. I don’t miss games. I’ve barely even missed any plays on defense in my career. I missed a few plays in a game earlier this year due to dehydration, but this was much different. For one thing, the stakes were a lot bigger. 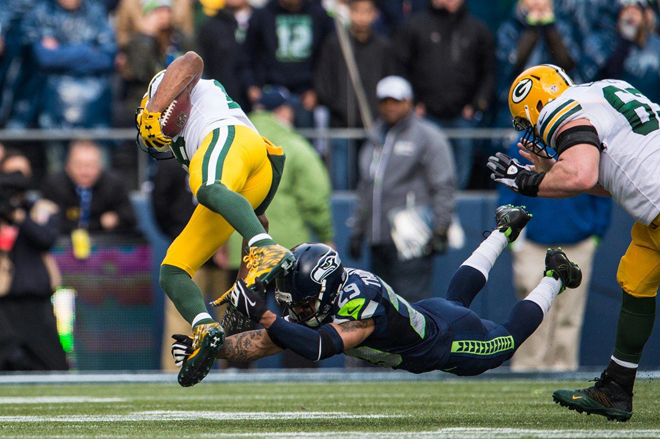 The play I got hurt on was kind of an inside-out tackle on Randall Cobb as he was sprinting toward the outside. It was a tough angle to make the tackle because he’s a very good athlete. I dove and grabbed at his feet to try to wrap him, and I ended up tripping him up. He fell down, and as I was going to the ground with him, I felt something pop. I got up and knew right away it was my shoulder. I went to the sideline. The coaches saw it, and then the trainers were talking to me. But when I’m in that zone, I don’t really hear or feel anything. I just wanted to go back in, and I was in a rage that they wouldn’t let me. They saw it was separated, and told me to go to the locker room. That was going to be it for the day. I told them I was going back onto the field. There were only a few minutes left before half. They could check me at halftime. When they saw my reaction, they talked to Coach Carroll, who came over to talk to me. “You need to go get checked out now,” he said. Back in the locker room, they reset my shoulder. I felt it pop into place, and that was it. I felt much better immediately. I felt like I could go play. They did some X-rays, and while I waited, I kept telling myself, “Just finish the game.” I had to go out there and finish. That would have been the regret of my life if I didn’t finish that game. And to the training staff’s credit, they got me fixed up and ready to go really fast. When I got back in there, I wanted to make someone feel me. My first opportunity was a receiver, so I grabbed him with one arm and tackled him. I didn’t feel any pain. That was a confidence booster. My next chance didn’t come until the third quarter. They ran a zone run with their big running back, Eddie Lacy, and I smacked him with the shoulder that I’d just hurt. I hit him so hard at the sideline that he went all the way to the bench and sat down. It fired up my teammates. I could hear them yelling and shouting after the hit. That’s when I was like, “Man, E, it’s now or never.” I actually said that to myself. There were so many incredible plays late in that game from our team. So many guys stepped up. The first one was our punter, Jon Ryan. Jon is a pro, and a guy I have a lot of respect for. We’ve practiced that play, so I’ve seen them do it plenty of times. He ran it like he has so many times in practice, smooth and calm. He took the snap, rolled out and threw it to Gilliam, who caught it and scored. I was just like, “Wow.” I didn’t get too crazy like everybody else did because I was trying to keep myself together, but I was motivated. We had a chance. Their defense made it hard on our offense the whole game, and Russ wasn’t getting in his rhythm like he normally does. Getting on the board with that play was just a little sigh of relief. You need that type of hope. I was very surprised at how conservatively Green Bay’s offense played in that fourth quarter, but I don’t like being in the position where offenses try to do that to us. I felt this mental surge and got real aggressive. I was playing straight run, so there were nine men in the box instead of eight, and we just kind of capitalized on them playing it conservatively. When we scored our second touchdown, I kept thinking, “E, don’t look at the scoreboard. Stay focused.” You have to tell yourself to stay true. You have to tell yourself not to look to where you don’t need to look. Your focus and your energy need to be right. You just do it inch by inch. You can’t get it all back in an instant. After that second touchdown, we were going for the onside kick. I had not done kickoff coverage all game, but I was on the field for that one, and watched it happen right in front of me. It was incredible. I just threw my hands up when I saw Chris Matthews catch it. I couldn’t believe it. Stuff like that doesn’t happen. That was the point when I started to feel like we almost weren’t in control of the situation. It was like there was some greater energy at work. 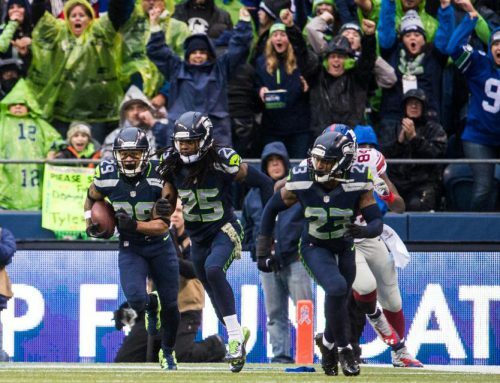 We were in the end zone again in no time after that on Marshawn Lynch’s touchdown run. Marshawn was pure Beast Mode late in the game. There’s a reason they have his picture on the side of CenturyLink when you come into the stadium. He showed everybody why. Marshawn deserves a lot more credit than he gets from the media. I have so much respect for everyone on our team, but Marshawn and Kam Chancellor teach us all about what it is to be true to who you are. 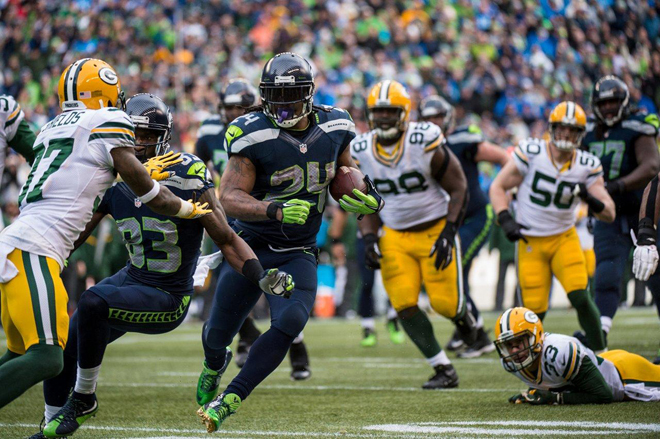 And man, Marshawn ran hard, doing what he always does. He made great catches, too. And by the way, it’s hard to tackle that guy — harder than anyone else in football right now. His touchdown was a perfect example. Then we got that two-point conversion, and that was all Russell Wilson. It’s hard to describe stuff like that. I was shocked when that ball landed in Luke Willson’s hands. That was amazing. Honestly, Russ is incredible. To bounce back the way he did from having such a tough game — I’ve only ever seen one quarterback do that. His name is Russell Wilson. He did something similar against Houston last year. He’s just made for big moments. When the offense gave us the lead, we were excited, but we knew there was still time left on the clock. We had to stop them from getting a field goal. We didn’t. I was mad because we could have won the game right there, and we just didn’t get it done. A big part of that is because, as I said before, Aaron Rodgers is a bad man. You could just see him going through his reads. He already knew where to go with the ball. He was very well prepared. I like stuff like that, man. You have to respect that. Thankfully, we had another chance. Once the offense got the ball in overtime, it was bang-bang, two quick strikes, and that was it. I ran on the field, amazed. I couldn’t believe it. It happened so quickly. The momentum just shifted, and we took it. When I got back to the locker room after the game, I was in a trance. I was crying in my locker. I was just overwhelmed with the emotions. I stayed in my locker for a long time, just sitting there, trying to take everything in. Beating the 49ers last year to go to the Super Bowl was great. But I can say without a doubt that this year was better. I say that because of how hard we had to work for it. When you’re the champion, there’s a target on your back. You really, really have to work to get back to this place. That game, what we were able to do, what we overcame, it symbolizes who we are. It was like a movie. When I think about it, I just see everybody battling. Sherm, Kam, myself, Marshawn, Russell, everyone. Everybody was battling something. We weren’t crisp. Things didn’t go our way. There was adversity everywhere. But how we fought, how the offense fought, how we fed off each other, how Coach Carroll never gave up on us, how our position coaches never gave up on us, it says a lot about us. We all battled to get back to this point, and it happened. Since Sunday, a lot of people have been saying that we are a team of destiny. I believe that, too. But I can’t let that distract me. I have to keep flowing with what’s going on, and keep working. You always have to keep working at everything. At the game of football. At being a good dad. Everything. That’s life, and I don’t want to get caught up in anything else. I’m going to enjoy these next two weeks with my daughter and my family. I’m going to have fun and not put any pressure on anything. That’s my key to success, especially at this moment and this time in my life. For us to finish this, I just have to play my part and be me. That’s it. Own my role. What a cool story! Great win..never say never!! Love stuff like this. Very inspiring! The story aint over yet Earl, put your stamp on it this Sunday! The entire PacNorthWest is behind you and the Hawks bro, we all love you guys, go get it! That was so heartfelt…thank you. Thank you for sharing that with all of us. I have faith in you guys, in the team, but mostly in your attitudes and in your hearts. Whatever happens at the Super Bowl, you guys will always be champions. P.S. Please take good care of that shoulder! Thank you for writing this! I have been a Seahawks fan since 1984. I admire the conviction and heart you show in each and every game! My family will be cheering for you and rest of the Hawks on Sunday! Go get em, Earl! This is the first time I have read one of your blog posts. I really enjoyed your perspective on the craziest games I have ever seen. It was emotional for me watching at home. I can’t imagine what it would have been like to be in the middle of it. Your discipline and focus are amazing. Looking forward to this Sunday! I really enjoyed reading this. It was such an amazing game to watch, and it was even more amazing to get your perspective as a player on the field for that game. So thanks for sharing, huge fan and I so appreciate all the hard work and passion you and the team bring. Thank you. So proud you and the team fought your way back to the Super Bowl this year despite adversity. Special group, special players. This is life and you were made for such a time as this! You own your role and suit up for victory! Your in so go win! Earl, you embody everything the Seattle Seahawks are and aspire to be. I am eternally grateful that ETIII is associated with my Seahawks. Gotta say — your tackle of army tank Eddie Lacy in that NFC Championship game was one of the manliest things I’ve ever witnessed. Bravo, Earl. You keep that focus and I have no doubt whatsoever we are going to be back-to-back super bowl champions. Gotta love earl!! Straight up warrior!! One more win earl!! 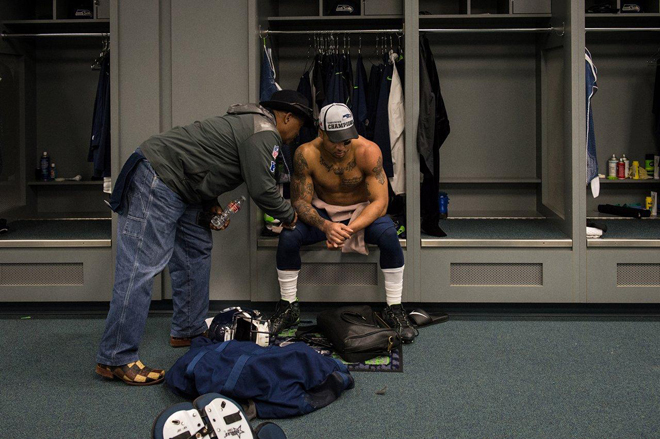 earl you are indescribable, the passion for family, life, football the 12’s its beyond words. You are a great man. Embrace it. All respect in the world goes to you and your view in life. It is exciting to see great things happen to great people. Go Hawks! that was an incredible story. We know that you and the rest of the team are focused on your jobs. We will be watching on our tv’s as you and the rest of the Seahawks take care of business. Thanks, Earl. Your analysis always transcends what’s conveyed in the media—and this coming from a former sports journalist. You have a rare gift—something direct from God—that allows you to communicate at the heart level in every aspect of life. We all benefit from it and appreciate it. Thanks for a being an awesome leader. Go get Seattle our second championship. No one deserves it more than you and the rest of the Hawks. Enjoyed this article immensely. Informative and human, written in ETIII’s definitive style — just like you play on the field. Thanks. And I’ve always wanted to tell you that you have the most adorable little girl!!! That game was amazing the belief that you guys have in eachother as individuals as well as a team. I would like to address one thing in your heart felt story. The reason why your defense didn’t stop Green Bay for the field goal was because Baldwin and Kearse had to finish their story for this game. Baldwin had that fumble and Kearse missed I believe 3 or 4 catches and all of them where picked off. It was only fitting that the two knockout blows came from Russell , Baldwin and Kearse. I told my good friend that something special is happening with this team and to enjoy it now and take it in. I’m glad to see you posting a lot of videos from Arizona because I can tell you are really enjoying it this time around in comparison to last years SB week. Stay healthy , keep doing your thing and God bless you and your family. Thank you for being honest in your story. True fan of not only the players but who you guys are as men. You are an inspiration! I love reading about THE GAME, through your eyes & heart Earl! I love how you express your feelings and desires! Perseverance comes from deep within. I have encouraged my 16yr old son who plays for Marysville Getchel High School to read your post (he’s a 12 as well & follows you and your boys)! Courage to find what your destiny is, you must dig DEEP and in the end you simply amaze yourself on many levels. As a 12 we are grateful to be part of such a classy, compassionate and determined TEAM!!! GO HAWKS! Prayers for you all! Continued healing prayers too! Peace be with you and all our HAWKS! To God be the Glory! GOD IS SO GOOD!! I can honestly say, God has favor over you all. Thanks for making me cry again..lol I was emotional after watching that game & to read about it from a players view, it’s that more special. Thanks for sharing Earl. God Bless! Great writing, Mr. Thomas! I really enjoyed your perspective on the game. That game was a miracle. You all are made for this, all the hard work paid off in that game. The story of the Hawks season played out in the game, slow to start, but an amazing finish. Can’t wait to see you all ball out in SB49. 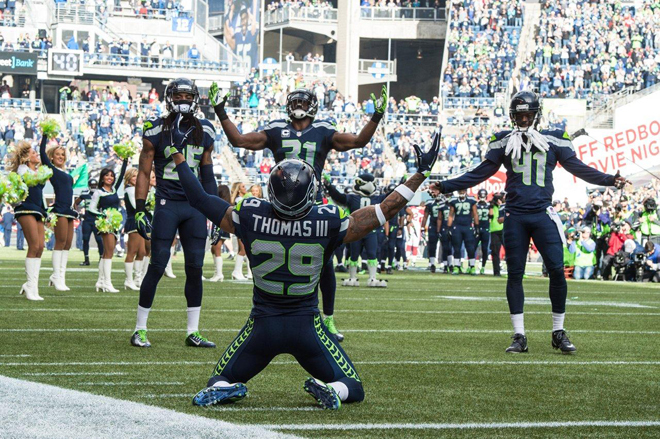 12s love the connection we have with the Hawks, no place like this in the NFL! Continued prayers for healing!! What you’ve done for me cannot be measured. Because of you, and my Beloved SEAHAWKS of 39 years, I live today. You literally gave me the strength to survive a Terrible, Painful infection. I pray we as fans give you the same thing each and every day of your life, Champ. 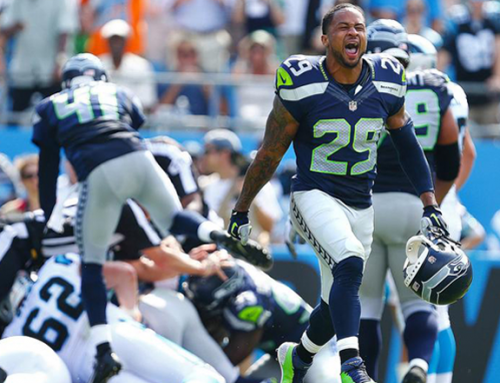 At 53, and a grandfather of 5 who’s blood flows Green & Blue, I honestly can say, I Love You, Mr. Earl Thomas III. Thank You!!! Your faith, hard work and determination make you an inspiration to so many! All the best on Sunday, I can’t wait to watch you win! Wow great blog. I felt like i was there. There was something else at work that day. Will share this. Straight talk, Straight from the heart. You are great person Earl, lot of respect to you. Touchwood you are playing for SEAHAWKS!!! Such moments come and go, sometime it give us pain and other time Happiness. But to absorb those emotions and next game put equal amount of energy and give everything you have, this are qualities of great person, and you have been doing this year after year. God bless you. Go Hawks!!! I grew up in Texas. Lived there 30 years. Played in the marching band, went to all the football games, went to the University of Texas…all that. But the football bug never bit. Never cared about football. Never watched it. Never talked about it. Never thought about it. But, lately, watching the Hawks play, and reading about the kind of people you and your teammates are…well, Mr. Thomas, I find myself inspired. I saw the magic in the game you played last week. I saw the grace under pressure you and your teammates displayed. I saw how you played for yourselves, and played for each other. I think I understand football a little better. Thank you for that. I’m proud to be a 12. And now, beat the STUFFING out of New England on Sunday. Y’all got this. Make it yours. Earl ALL of you are amazing. This lady old lady in North Idaho is one of your fans. You have a flag with you for the Super Bowl that has my name on it. I am pulling for ALL the team. The way you all take care of each other is truly remarkable. As long as you stick together as a team you will be fine. Don’t let the idiot remarks from the opposing team bother you all. I believe in you Earl, Russell, Sherm, Marshawn, Kam, Pete, you men make me proud and I am not even your mother. God bless you! Someday I maybe will meet all of you! Thank you for keeping us so in touch with this team and your thoughts. You are a fans dream, to keep us”involved” and make us feel like we help make a difference is what keeps us going, it’s what makes us a12, another player… part of the team, part of the family. Love you guys. Go Hawks!! Thank you for such a great article and for sharing with the 12s. Several years ago I gave up on the NFL. So many bad stories, crimes, cheating, poor sportsmanship. Then one of my clients told me to give it another try. The Seahawks were putting together a very special team and in 2012 I attended my first Seahawks game at the Clink. WOW! What an experience. But what really sold me was when I started following our players and coach that year. What an incredible group of men. I always say “How can you NOT love this team?”. You all are the type of people we strive to be, hard working, kind, compassionate, appreciative, I could go on and on. THAT is what people do not understand about the relationship between the Hawks and the 12s. We love you for what you are off the field as much as for the warriors you are on the field. Keep up with those morals and values and you will continue to succeed. That is what makes you who you are! Thank you, thank you, thank you! So can’t believe there are so few comments on such an awesome read! To get to see this game right from the players eyes with so much detail made it feel as if I were right there. There is no lack of inspiration here either. To get it first hand from someone that works hard everyday is a pure delight. 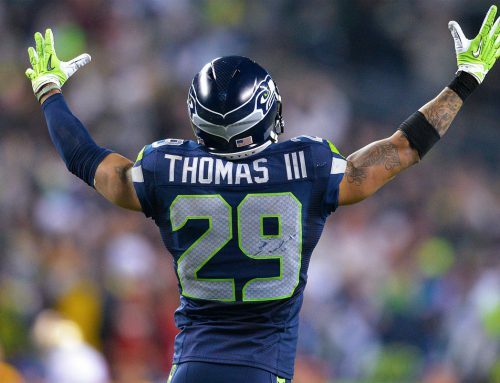 Earl Thomas you could be a life coach when you retire. You have a gift and football makes it greater! Make us proud, brother. You always do and I know you will again…. every time. Thank you Earl for sharing your perspective. Awesome game! Good luck this Sunday! Leave everything you got on the field!! Much love to you and the team. Beautifully written. The emotion, the gratitude, the faith and perseverance, the trust in each other – all reasons why I love this team. You are all champions! I love it, Earl! I very much appreciate you taking the time to share with us 12s some behind the scenes insight. Keep it. God bless and let er rip next Sunday! This twelve will be at the Superbowl to give ya love coming out of the tunnel. Just like we have since you’ve been with us! That was a great piece to read. I love hearing your thoughts along with all the great pics you post on FB. You know, you say how proud you are to be attached to us 12’s, and how we are different than everyone else in the league? My husband and I often talk with our sons about how proud we are to be attached to YOU GUYS. And we often wonder if any other teams are even as close to as special as we think the Hawks are. I just don’t know how any other team could come close. You guys are such incredible men, role models, athletes and humans. Thank you for your heart. It shows in everything you do. First time visitor – but I’ll be back. Love your insight. What a game — what a season — what a team! You guys are amazing! Keep the faith! Hey ET. I knew you were special when I watched you at Texas. You have a mighty gift 29. Love your attitude as well. Thank you for writing a wonderful article for us. May God grow you even more in life than the outstanding football star you are now. I wish you or any other Christian player would speak to our Church Men’s group any time after the season ends. Gateway Fellowship in Poulsbo. Thank you so much for sharing the things that you do. As a 12 in Wyoming, so far from Seattle, we miss out on a lot, so it is fun to be able to read about your (and other players) experiences and thoughts! The fact that you are willing to share your life with us 12s is greatly appreciated! Go Hawks! Loved reading this, the game was awesome. I did say “GB plays a good game, but the Seahawks most often come with something to knock you socks off” and you did, again. We are proud that you are back in the Super Bowl. Go win one more. Go Hawks. I’m so motivated right now! Great post! I just “discovered” football last year and am amazed at how many aspects of the game relate to other parts of life. I am learning lessons from watching and studying football (Seahawks mainly) that I can apply to my chosen sport of Endurance Horse Riding and to other parts of my life! You guys are so motivational it is really great to read a post like this one and see the game from your point of view. Thank you- I love watching you play!! That hit on Lacy with your banged up shoulder was awe inspiring! What a phenomenal comeback! One of my favorite plays EVER was your Bruce Lee chop fumble touchback vs The Rams. The rejection of that football on the 1 inch line was astonishing and perfectly demonstrates that the heart and soul of ET3 and our Seahawks is legendary! Keepin it real, I truly love this stuff and I agree with you and everyone that commented. Love it man. You guys are an inspiration, the never give up attitude and the way you all play for one another is awesome, Im proud to be a Twelve!!! Go Hawks! Thank you, E, for taking the time to share your thoughts with the 12’s! My wife and I had the unforgettable experience of being there for THE GAME, and staying to the very end to witness what it means for an amazing team to never give up. We’ll be talking with our kids about the passion, hard work and teamwork demonstrated by this team indefinitely — best wishes in the Super Bowl!! Such wise words!!!! You and this team are true inspirations!!! Earl, great storytelling. You are so bleesed to be on such a special team. God has given you so much talent and you have made the most of it thus far. I have rarely seen games like the one described, but they are trully magical. 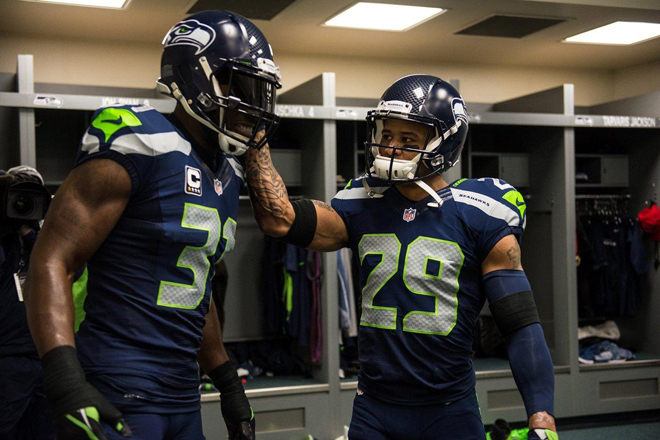 I believe your spirit for the game is what makes the LOB so dominating. Keep the faith brother in SB49. wow! Earl, thank you for sharing your story in your words! Blessings!! You do you!! The first part of this, the part where you describe where you and the defense set the stage for winning the game, was amazing. Your voice carried me through that part of the article. Your stark, and clinical description of how the game was won, in the end, was a bridge; it is interesting to see the offense downplayed, instead of the other way around. Your description of your team spirit, and your desire to press on, is inspiring. Your writing is as good as, and less ephemeral than, your play on the field. You know who you are, and you perform as yourself very well. Keep being you. Thank you for sharing your personal reflections. It is a real treasure that you shared what was taking place in the hearts and mind of the team. I keep saying – this was more than just a game. If this had just been a “normal” Seahawk win, we would all be complimenting what a great team the Seahawks are and marveling at your gifts and talents (which your hard work deserves credit!) But THIS game shifted over into something different. The outcome of THIS game WAS a true miracle and we are instead saying to GOD be the GLORY and what an AWESOME GOD! This game was about God partnering with your faith, perseverance, belief, speaking words of victory even when the score was down and never quitting. I will remember this game for the rest of my life! This may be the most important game of your life because people were so moved and inspired and for many it was life changing. Thank you for allowing us to see the game through your eyes, Earl. We worried about you when we saw how you tripped the player and knew you got hurt. I was there and saw you go into the locker room, not knowing whether you would come back to finish the game or how bad your injuries were. We were glad to see you come back into the game. Sherman hurting his arm was also scary and the guts to stay in the game and play. We admire the whole team and deserved the win.Please, stay focused, spend time with family, and never forget that the team has the 12 man with you ALWAYS. God bless ALL of you. When Coach Carroll got hired, the whole world kinda said ‘ahhh, that’s cute’ when they heard his motto. When they found out that he’d ditched Matt Flynn for Wilson and used his motto as an excuse it changed to ‘ahhh, that’s crazy’. But you guys have quietly embodied this philosophy for years now. When you go out on the field, you can’t always guarantee that you’re going to be the biggest, or the strongest, or the fastest. But you can control who wants it more. You can compete harder. And that’s what you guys do, all the time. That’s what this game was. It was you, Sherman, Lynch, Wilson, Kearse, *everybody* on the team deciding play by play that you’re still in this, that you’re still going to compete. You guys were warriors. I hear that term get thrown around a lot about football players – ‘warriors’. But we forget what it means. It means to fight like your life is on the line, to fight like to give up is to die. You can see a lot of teams fail that test when they’re down. Take a look at the Broncos during the Super Bowl last year – they lost long before the clock ran out. When the chips were down, they were just players playing a game. You Hawks are warriors. I felt like I was watching a cheesy movie – you know the one about the hero who gets all the way to the end of his journey and he’s steps away from victory when he gets crushed by the villain only for him to stand back up, bloody and broken and weaponless, to take those last steps anyways? That was you guys. You guys weren’t just football players, you were warriors. You were champions. Thank you for inspiring me, and all the 12s, and showing us what it means to ‘Always Compete’, to have a true warrior’s spirit. Much love for you and all your brothers. E ..I love you man. You are the epitome of a never-say-die attitude. I been buying my two kids lots of different Seahawks stuff. For me? Not so much, I’m a beanie kind of guy and I got a few jackets. I have only ever bought one jersey for myself and that was when I was a real young guy and it was a Kenny Easley jersey. Earlier this week, I bought my second ever jersey. 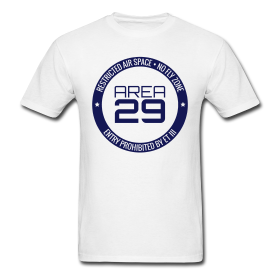 It’s an Earl Thomas Jersey. I’ll proudly be wearing it this weekend. And that is why your number is on my back. Thank you E.T. You are the ultimate competitor and a beast. Awesome Earl! Go get another Lombardi on Sunday, you will definitely have earned it. Thanks ET for your experience of the game. I love how you all kept encouraging each other, how you didn’t give up. How you finished. The stark differences between your sidelines was a confirmation of Coach Carroll’s philosophy. You all inspire me to do my best, to give it all. And to play thru the end. Your family must be proud of all your accomplishments, yeah on the field I’m sure, but more with the awesome man you are. The role model. Your joy for the game and the enthusiasm with which you cheer your teammates on is inspiring. Love you all. Thanks for a great story, an inside look. I’ve been a proud Seahawks fan my whole life, and there’s a group of us getting together down here in Cuenca, Ecuador to cheer on the blue and green. Proud to be part of the 12’s! Go Hawks! First time reader here and I will be back. ET3, you have talent as a writer, in addition to amazing talent, brains and heart on the field. Thank you for sharing with us 12s. Watching the game with a Packers fan, when she offered me Kleenex in the 4th quarter, I just told her, “My boys aren’t out yet!” It was awesome being proved right! You inspire even a person who most demographics would say we have nothing in common. I am a writer of fiction, retired CEO, very small female, mother. Yes! Earl, you’re the complete human. Keep doing what you’re doing and being who you are, it inspires this born and raised Londoner. Proud to say I’ve got ET on my jersey. Bring it home on Sunday! Thanks Earl, I love reading your blogs and getting your perspective of the game. 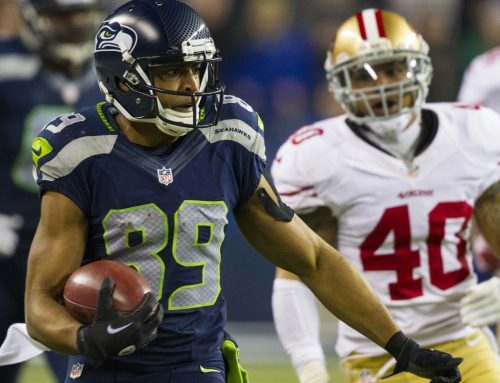 Hope that shoulder of yours is doing much better…a Seahawks fan for life…Go Hawks! Thank you for sharing this with us E. Just an incredible game so many emotions so many twists and turns. I enjoyed the NFC championship last year more than the SB. This year will probably be the same. What an unbelievable game. Such an inspiration and testament to what it really means to always believe in yourself and what you can accomplish when you function as a team. I really enjoyed reading this. Thank you! GO HAWKS!! Earl Very nice and very emotional for me that win by the Seahawks Team is the biggest Win next to the SB 48 Play Hard for each other and the reward will be Great ! Go Hawks ! Earl, I played on a few teams in my younger days and I dreamed of having a teammate like you. 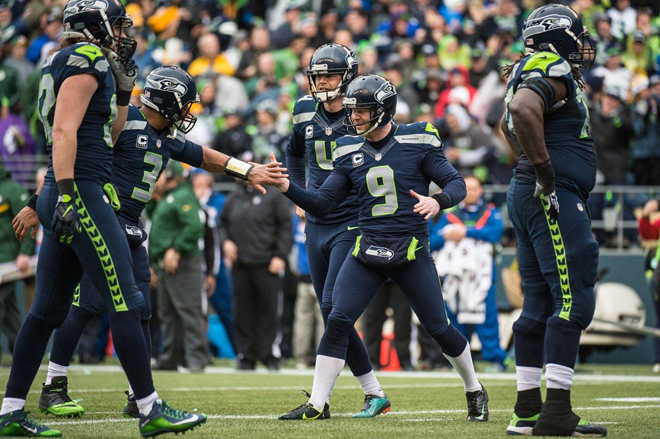 Your leadership, unselfishness, superhuman will and love for your teammates are what make you the beating heart of this team and my favorite Seahawk. From an old-timer who has been going to games since the Kingdome years all the way back to the beginning in 1976, you have my utmost respect and I can’t wait to watch you bring everything you’ve got on Super Sunday! I moved to Washington in 1976 from a small town in Utah to find myself with a pro football team to root for. Well I’ve been a faithful Seahawks fan since then. It’s been a fun ride but the Pete Carol era is off the hook brother. Ive been fighting for my life with stage 4 cancer during the past two seasons. Watching your resolve and reisilliance as a team has given me inspiration to keep on fighting. That’s my full time job – fighting for my life and watching the LOB shock the world! Much love and God Bless you and the rest of team this Sunday! This is an unbelievable opportunity for us fans to share with you the impact that you and your teammates have on us 12’s. Earl, I have never met you, but you are such an important part of my life. We are so fortunate we were able to borrow you from Texas. The class you exude is inspiring and the cast of characters on the team is beyond unique. You come across as the spiritual leader. They way you look deep into the eyes of Beast Mode just after Beast Quake 2 in Arizona, or Wagner when he makes a great hit, it’s almost religious, you’re like a Football Shaman! You’re eyes get big like Mike Singletary, but, unlike Mike, there is much love gleaming with intensity. In my opinion, Pete has created this special kind of environment where we all feel safe saying “I love you man” You’re my Brother !! It’s freakin amazing to see how effective Pete’s plan has manifested into Championships that matter more than just Sport. The hawks are in our hearts and minds!!! Go get Ring Number 2!! Mark T. and Wayne D. This 12 is praying for you both! Keep walking with a humble heart. Micah 6:8 Go Hawks! It’s an absolute blast watching you do what you do on the field. Thanks! First and foremost I AM EXTREMELY PROUD OF YOU…YOU ARE AN INSPIRATION!!! Both of my sons Sha’Ron 14 and Stefon 12 look up to you, and I appreciate you being such a great role model for them. I wasn’t able to afford a Seahawks jacket, so instead of whining about it I showed my boys that you can be creative, and if you put your mind to it you can create wonderful things. I posted the picture of it on your facebook page. You have given the word Perseverance an entirely new meaning. You got seriously hurt in the NFC Championship, and not only did you deal with the pain but you gave it your all. You guys never gave up on each other, yourselves, or us 12s. You are truly an inspiration!!! Thank you for being you….and not what other people want you to be!!!! Much respect Mr. Thomas III. 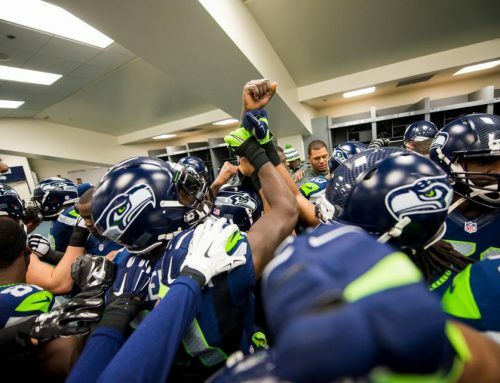 GO SEAHAWKS….TAKE IT TO THOSE FAKETRIOTS!!!!! Earl is one of the top closers in the league and a key reason the Hawks are such a great team to watch and support. 12s will keep the positive energy flowing all over the team in Glendale..! Go Hawks..! over the Victory…over 12th…how can we trust them again? its hard to believe coaches 100% now, once someone betray you, you always going to have second thoughts about him, you can’t trust coaches-management 100% anymore! Poor players, who sacrificed their body, their health for the victory and someone else decided to take away that victory from them! someone needs to pay price for that!